There weren’t many published African women writers, in the 70s and 80s, during my childhood. So, as a child of an African woman writer, I was very aware of those women writers at the time. I read their books, met several, heard about those that I hadn’t met anytime my mother returned from a conference where African writers had assembled. There definitely was a sisterhood among that generation of women writers. I can’t recall if it was a roaring sisterhood. This I can recall: there was a fact to their existence, certainly an established presence which gave me comfort. But in 1986, this earth would crack. It didn’t crumble, this comfort, no. It just cracked and it’s hard to admit it but the crack actually never healed. My mother moved us to Zimbabwe in 1982. We were under a family-imposed exile from Ghana. Thankfully, her entry into politics was quite short-lived. Unfortunately, we couldn’t return to my idyllic childhood and playing rambunctiously on the University of Cape Coast campus. So Zimbabwe it was. As I remarked in my review of Yvonne Vera’s The Stone Virgins, Zimbabwe was more than a “stable and safe haven”, it became our home. The sisterhood stayed in touch and kept tabs on us. As often happens, I added to my store of mothers. My mother found her sister Micere Mugo in Harare. An only child, I attempted to act as big sister to Auntie Micere’s beautiful daughters, Mumbi and Njeri. Hard as it was, my mother made the best of the situation, even managing to write and publish. Sometime in 1985, suddenly, came murmurings of a woman writer, living in Botswana and struggling to survive. She was on the verge of bankruptcy, she was sick, she was estranged from her family, she was brilliant, she was Bessie Head. To my young mind, the entry of Bessie Head into my life was marked with alarm, dismay, panic and pain. The murmuring rose to a crescendo. Then in early 1986, just as suddenly, came the announcement of her death. It’s hard to express the effect, on me, of finding Bessie Head in the circumstance which I did and losing her so suddenly. After all I never met her. But the fact of Bessie Head’s death, and the circumstances surrounding her last years in Botswana, has always unsettled me. Undoubtedly, hearing of her plight while we precariously lived in Zimbabwe was too much for me! – that she was only 49 when she died. Another shock. Since all children imagine their parents to be so old, I had thought back then that Head, as my mother’s peer, was ancient when she died! – that she was in born in Pietermaritzburg, South Africa, to a white South African woman and an African farmhand. – that by age 18, she’d been subjected to much humiliation and much cruelty by racist white society and its affiliated institutions. – that in her 20s, she worked as a teacher and journalist. – that she got married in 1962 and had her son, Howard. The marriage, though, failed. – that she left South Africa in March of 1964, left apartheid and never returned to the land of her birth. – that she wrote, and wrote a lot. 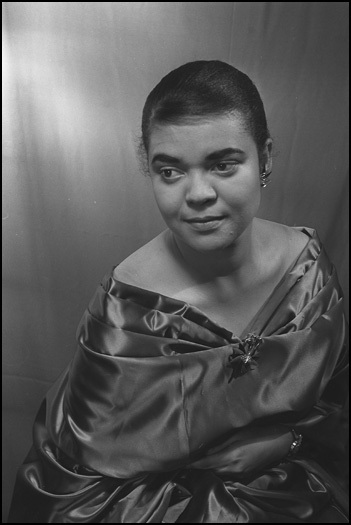 Bessie Head is one of Africa’s greatest writers. I don’t know if the peculiar pain I feel whenever I think about Bessie Head will ever stop. She shares this distinctive effect on me with Yvonne Vera, another African woman writer ripped too soon from my life. I want to find her again, which is odd because she has never left me. I think I want to rescue her from my childhood. Perhaps. In any event, today, July 6 would have been Bessie Head’s 76th birthday. 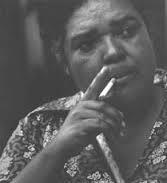 Welcome to this weeklong focus on Bessie Head and her work. Two other bloggers, ImageNations and Mary Okeke Reviews, will join me this week as we post reviews of her books, resources on her work and other writings dedicated to Bessie Head. Thank you for this Kenna. I am a young South African woman and Maru was a prescribed book in south african high schools around. 2001/2/3. I read it in matric and haven’t stopped reading her work. Bessie makes me cry and then laugh and frown but mostly she makes me think. Love this post! I’ve only read When Rain Clouds Gather by her, so I’m looking forward to reading about her other works. Thanks for hosting this event! That is a profound effect she has had on you Kinna. She was a great woman, even if a troubled one. But then the times in which she lived were troubled to say the least. Well done my dear friend in bringing her legacy alive. I have just ordered Bessie Head’s A Question of Power, Kinna, and will get back to you here when I have read it. Kinna Thanks a lot for posting this. I really enjoyed reading. Insightful indeed! Thanks, Kinna. Especially for sharing so personally. Who was your mother and who were some of the other women writers she knew? Much of what I have read has been about the issues of more recent years. I’d like to read more by women from this earlier period. My mother is Ama Ata Aidoo. Other African women writers of her generation to read are: Flora Nwapa, Nawal el Saadawi, Mariama Ba, Buchi Emecheta, Zulu Sofola, Mariam Thali, Efua Sutherland, etc. Thanks. You have a fine legacy. I have read and really appreciated your mother’s writing, and that of Nwapa and Emecheta. I will try and find some of the others you mention. great blog and keep the good work… … i read Bessie Head:s work and studied her in my history classes when i was young..
more power she settled in Botswana in a village where i happened to be from and raised.. , later in life i met her son …. if i am not wrong, he still lives in Serowe…..and his mothers legacy is still celebrated..
i enjoyed reading your post and wishing there was more i can say…. Nice work Kinna, good to bring story’s like this alive. African Women Writer’s I am checking you out keep writing. PEACE. Hopefully, your blog and the others will bring me to a summarised appreciation of Bessie and her works even though you have so well introduced her in this post.